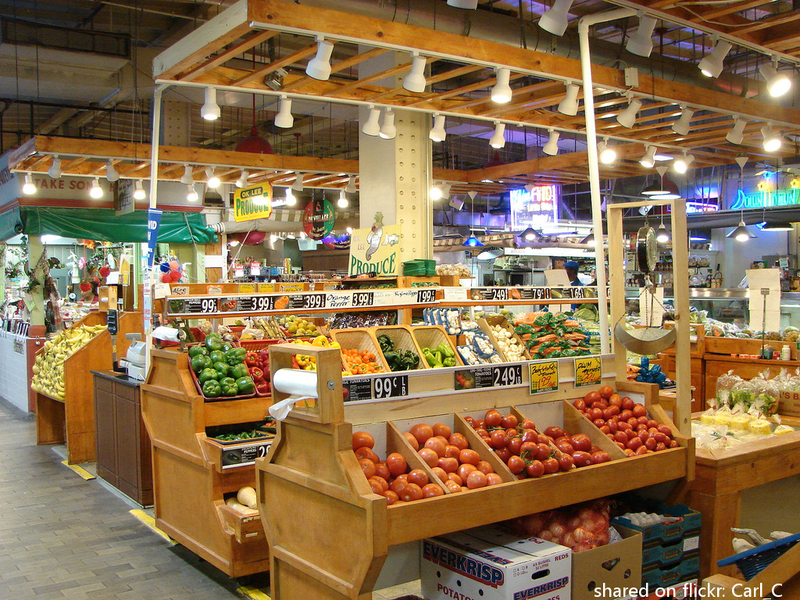 Did you know that there are more than 3,200 farmers’ markets and stands accepting EBT around the country? Visit our discussion forums and blog to post your ideas about improving nutrition in the Food Stamp Program. 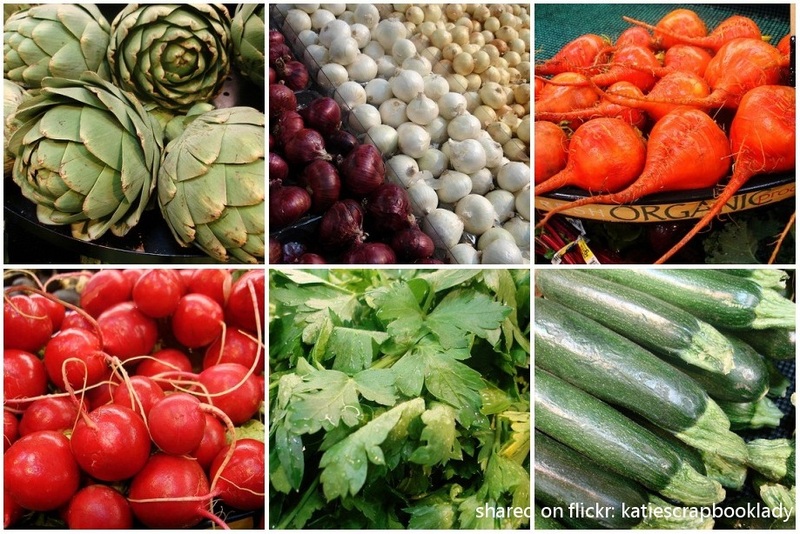 Want to learn more about healthy eating on a budget? Our site features resources on healthy eating from the federal government and non-profit organizations. 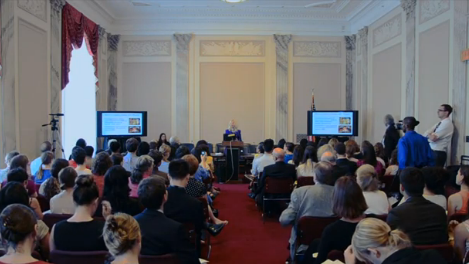 Download a PDF version of the full report discussed at our July 18th, 2012 Capitol Hill briefing. 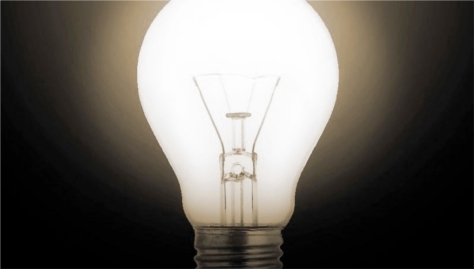 Additional information can be found under the Policy Recommendations tab. 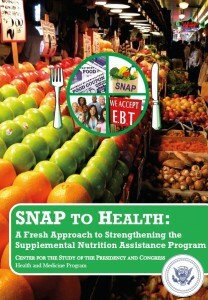 SNAP is the nation’s largest nutrition assistance program. Serving 46 million people, SNAP is the cornerstone of the U.S. federal government's efforts to alleviate hunger in America. We hope that this site fosters discussion, collaboration, and innovation among those working to improve health, reduce food insecurity, and prevent obesity in the United States. 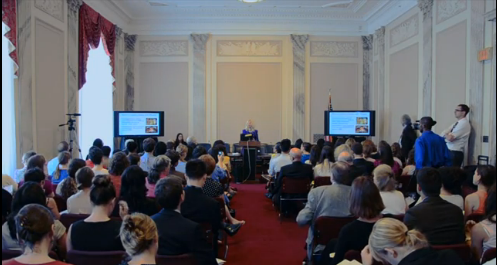 We hope that many of the ideas will impact the current policy debate and strengthen nutrition in SNAP. As the largest federal nutrition assistance program, SNAP impacts the health of 47 million Americans. 44% of the program's beneficiaries are children, so SNAP is affecting the health of future generations. SNAP is a government program that is funded by taxpayer dollars. Therefore, everyone's voice can make a meaningful contribution to this discussion. If you are among the 1 in 7 Americans enrolled in SNAP, your opinions are needed on how the program is working and how to improve it. Your opinions and ideas will be included in our policy recommendations for strengthening nutrition in SNAP. 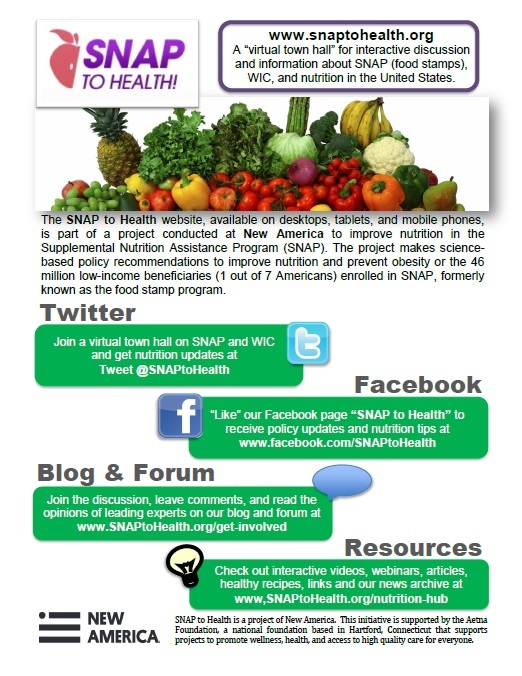 We want your ideas for improving nutrition in SNAP. Make your voice heard in the forums, comment section, in the polls, and on Facebook and Twitter. 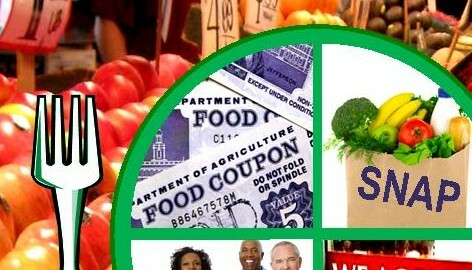 You can also explore the website’s links to learn more about SNAP, nutrition, and the Farm Bill re-authorization. Join our newsletter to receive information about our website updates, blog posts, news articles, and resources. Your voices will be included in our policy recommendations for strengthening nutrition in future re-authorizations of the Farm Bill. Here you will find a collection of reports and publications on the Supplemental Nutrition Assistance Program as helpful resources to inform the discussion on how to improve nutrition for SNAP beneficiaries. SNAP currently provides food assistance to 47 million Americans. With the concurrent health challenges of food insecurity and obesity in America, improving nutrition in SNAP is critical. But healthy eating is essential for everyone, so the website provides links to comprehensive, trustworthy resources for us all. Trying to eat healthy on a budget can be difficult. We've put together these useful resources and tips to make eating nutritious foods with your SNAP benefits easier for you.